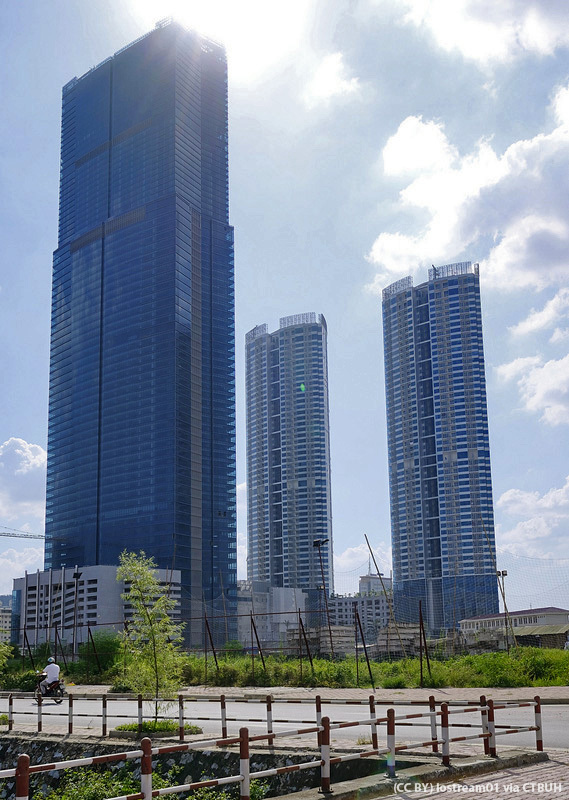 Upon completion in 2012, Keangnam Hanoi Landmark Tower was the tallest building in Vietnam and was a redefining moment for the city of Hanoi, which at the time had very few tall buildings. The 72 story building is comprised of offices and is the tallest in a three building complex featuring two 49 story residential towers with curved facades to maximize views. 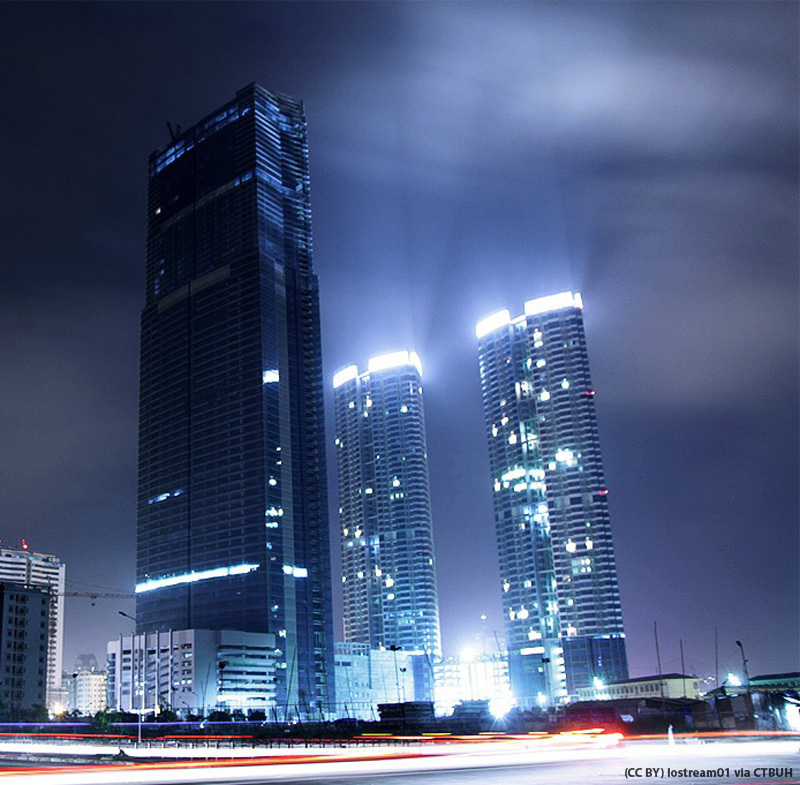 While the complex is located on the western edge of the city, the placement positions the development within the center of a newly established central business district. In order to construct the complex in the soft soils of Hanoi, 980 piles with diameters of up to two meters across were drilled deep underground in a process which took longer than one full year during the construction phase. 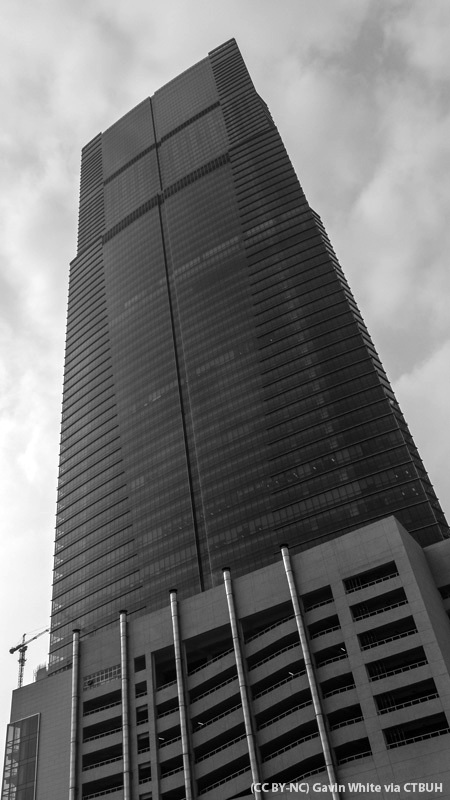 The reinforced concrete frame of the 72 story tower utilized post-tensioning which allowed the structure to rise as quickly as of one floor every five days, a rate which is faster than what would have occurred with conventional construction techniques. 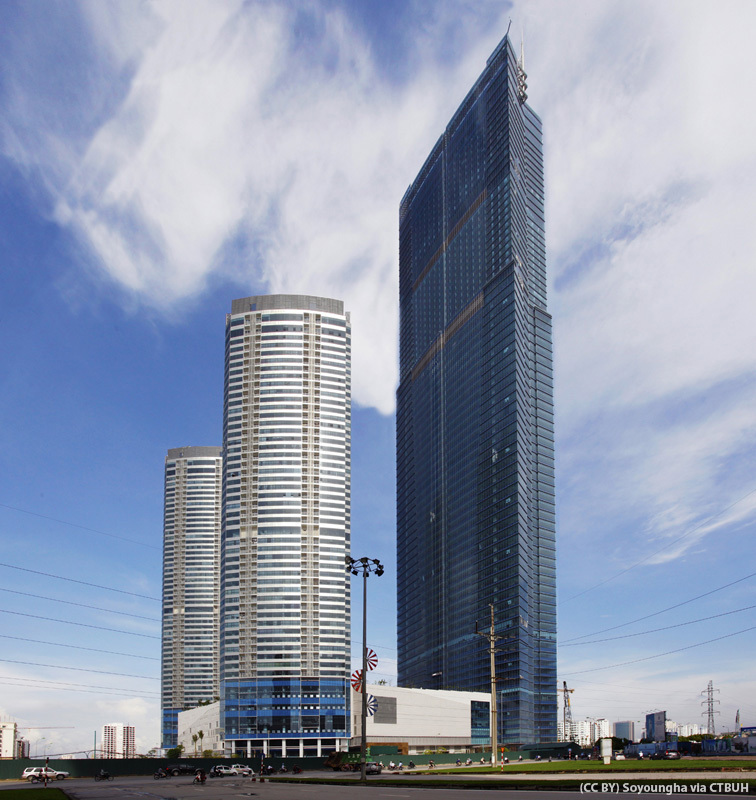 Cladding the tower is a double glazed façade, producing a desired modern aesthetic for the exterior which combined with an intelligent building systems technology, provides a high level of energy efficiency. At the peak of construction, the worksite employed as many as 8000 people at one time. 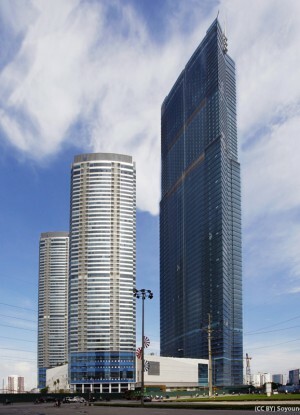 The base of the Keangnam Hanoi Landmark Tower is attached to a shared podium structure containing shops, a department store and a cinema from which all three towers then rise. The main tower then is comprised of offices on floors 12-46, serviced apartments on floors 48-60 and a full service hotel on floors 62-70. The uppermost 72nd floor contains an observatory with a panoramic view of Hanoi and its rapidly growing skyline.